Gorillas are intelligent animals that live together in small groups, usually led by a single male silverback. The first gorillas kept in captivity were held in stark, concrete cages with metal bars. Lacking any stimulation or entertainment, they became bored and depressed. Needless to say, this wasn’t a prime breeding environment. As such, up to the mid-1950s, gorillas were exclusively taken from the wild. The animals had to be caught while young and still small enough to be handled safely, and hunters often had to kill the youngster’s parents and other relatives to capture their prey. 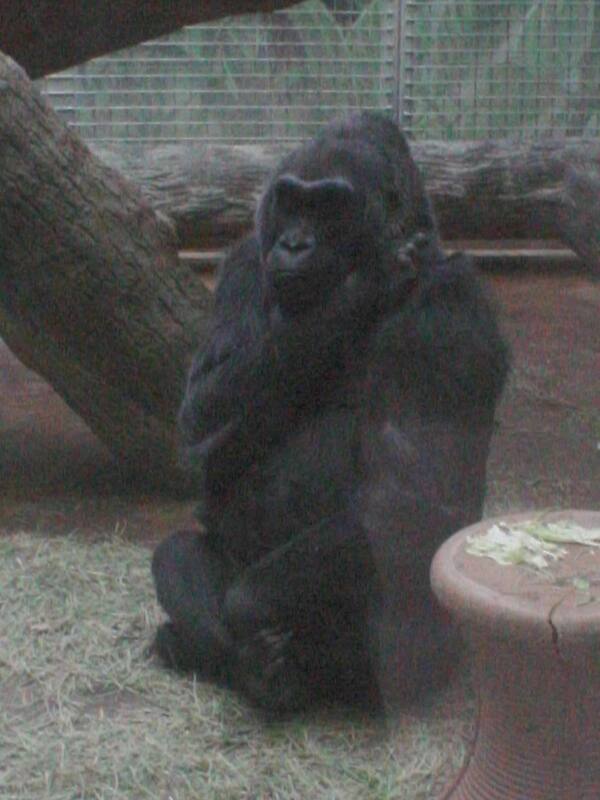 But then on December 22, 1956, a little western lowland gorilla named Colo was born at the Columbus Zoo in Ohio. Weighing in at four pounds, the new arrival was the first gorilla to be born in captivity. Colo’s parents, Millie and Mac, had been taken from their home in French Cameroon, Africa and brought to the Columbus Zoo in 1951. As her mother rejected her at birth, Colo ended up having to be raised by Zoo staff. In the years since Colo’s birth, most zoos have changed their approach to keeping gorillas and other animals in captivity. For instance, efforts are made to simulate the animals’ natural habitats. Further, gorilla habitats are also much less confining than in the past and the majority of the world’s zoos are now engaged in captive breeding programs and have ceased to buy gorillas from the wild, as their numbers are dwindling quickly. Most captive baby gorillas are now conceived as nature intended while some are helped along via artificial insemination. With the gorilla babies now no longer taken from their mothers during adolescence, it is also much more common for the captive mother gorillas to care for their young, rather than needing zookeepers to do it, as happened to Colo. In cases where this isn’t possible, human caretakers will briefly act as surrogates for the infants until they’re old enough for other gorillas to take over child-raising duties. Despite being born in 1956 and despite the fact that the average lifespan of a gorilla in the wild is only around 35 years, Colo is still alive today and is the longest living gorilla in captivity. How Do Other Animals Deal with the Umbilical Cord and Placenta When the Baby is Born? All women are human, so the extraneous word, “human,” should be deleted.